As a nutritarian and foodie I make sure that most of my food is crazy nourishing and satisfying. 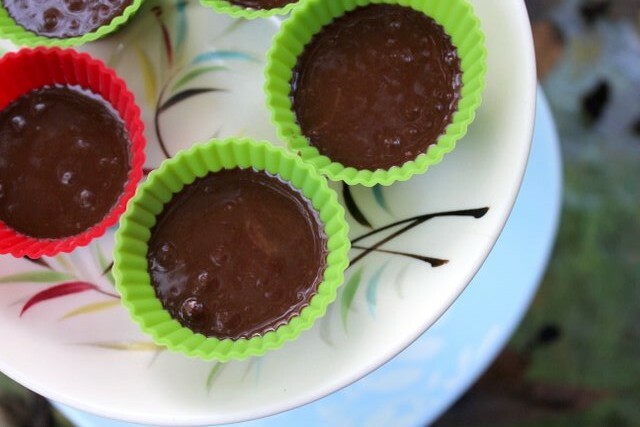 Two of my favorite make-at-home-and-eat-almost-everyday chocolatey treats involve only three simple ingredients. Mix everything together, adding cocoa and sweetener to taste. If your coconut oil/butter is hard then soften by placing the jar in a pot of hot water or microwaving desired amount in a micro-safe container. *I use stevia but honey works well too and adds the amazing anti-fungal, anti-microbial, and anti-viral qualities of honey. After I mix the three components I usually spoon out 1 teaspoon portions into little silicon cups and place them in the freezer to harden. 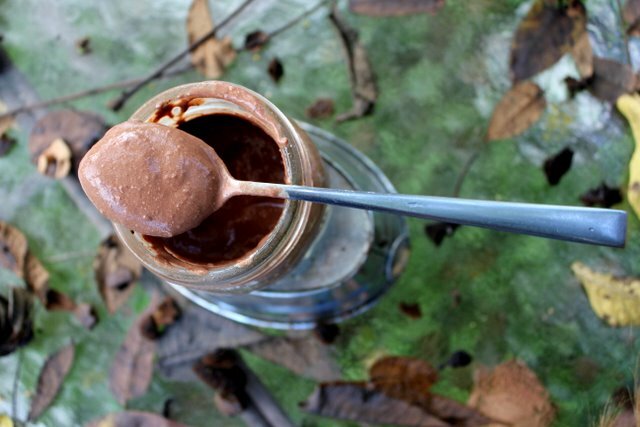 You can also store the whole thing in a jar, leave at room temp, and use like nutella. Or make a chocolate bark! Just remember that it will be soft at room temp, maybe even liquidy. Here are past posts I’ve written about coconut oil truffles and coconut butter truffles. Chocolate in it’s usual form isn’t bad for you but I prefer not to eat sugar regularly and coconut butter is more nutritious than cocoa butter. 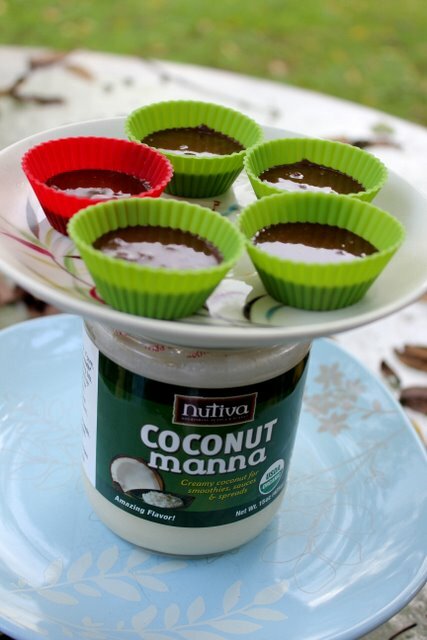 Mix cocoa and sweetener into plain yogurt. Eat. I use stevia for this one too but maple syrup works wonders as well. Rich in flavonoids, protein, probiotics, calcium, and satisfaction. This chocolate “pudding” is great when after a meal when I am still a little hungry or for a more substantial late-afternoon sweet treat. How do you get your chocolate fix? I’m a huge fan of stevia, use it for almost everything. Do you have a brand you prefer Faith? I’ve found they vary quite significantly, and haven’t yet found a new favourite since the bulk supplier I used to use stopped stocking. Ta! I like Sweetleaf. I just bought some minimally processed green stevia powder from the bulk at health food store. It’s definitely a little different to use because it doesn’t have any filler but I like the idea of unbleached. A few Ghiradelli semi sweet chocolate chips go a long way. 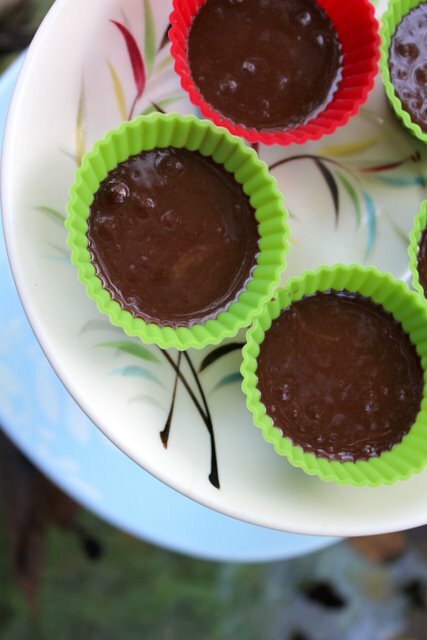 Love this quick and easy treat! When you say anti fungal for honey-does that mean it is okay for you when you are trying to get rid of yeast? I don’t know enough about your yeast situation to answer that one but I would encourage you to do your own research. I’m not nearly as healthy as you are, so my chocolate fix is usually some form of milk chocolate. In fact, I had a Cadbury Fruit & Nut bar today. Delish! I enjoyed every bite 🙂 I do like the idea of a chocolate spread, though. Thanks for sharing! My immune system is so wrecked from years and years of insomnia that I am really laying off the sugar for now. I still have a sugary treat occasionally but for my everyday sweet fix I go for stevia or honey.